Thursday's GOP debate on Fox News was the highest-rated debate of 2016 and the fourth-highest-rated primary debate on record. The two-hour debate averaged 16.8 million total viewers -- a bigger audience than practically everything else on television this week. The Donald Trump ratings bump was in full effect. 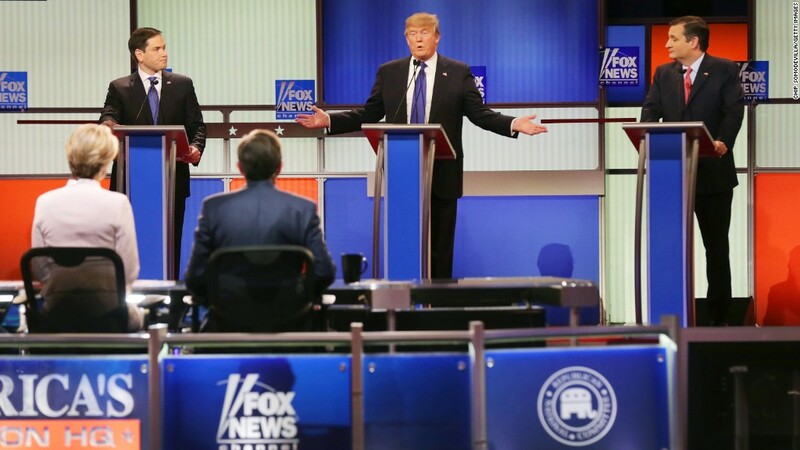 For perspective: Fox's January 28 debate -- the one Trump snubbed -- had 12.5 million viewers. Several GOP match-ups have been held since, and each of them has been higher rated than the one before. Last week's Republican debate on CNN and Telemundo had a combined 14.5 million viewers. This season's debates, fueled by Trump, have smashed prior viewership records, resetting expectations for how well debates will rate. Fox's very first debate of the season, featuring Trump's now-famous clash with co-moderator Megyn Kelly on August 6, 2015, attracted 24 million viewers, an astonishingly high total. It remains No. 1 on the overall debate ratings ranker. The No. 2 debate of the season remains CNN's September 16 debate (which had 23 million viewers) and No. 3 remains CNN's December 15 debate (which had 18 million). So Thursday's highly-anticipated face-off between Trump, Ted Cruz, Marco Rubio, and John Kasich ranks No. 4 overall. For Fox, it is the second highest rated night of the channel's 20-year history, behind last August's debate night. The Nielsen ratings only count people who watched at home via TV. Fox News made a live stream of the event freely available via the web as well. A Fox News spokeswoman said the debate stream peaked with 1.5 million concurrent viewers, also a record for the channel.